Available from Amazon, Barnes&Noble, and iBooks! The journey through the Kingdom of Redsands draws to an end. The Kingdom of Redsands stands on the precipice of disaster. Outside forces are aiming to eliminate the royal family and throw the kingdom into chaos. Marilana, intelligent and deadly, has chosen the path to defend her homeland, her family, and her friends. Unfortunately her enemies are aware of her intentions and plan to render her skills useless. In order to survive, Marilana will need Marquiese and Earek more than ever before. Marquiese, however, is entangled in his own feelings of betrayal and loss. If the friends are to save the kingdom and themselves, they will have to push the bounds of skill, compassion, patience, and trust. Can Marquiese sort out his feelings before all is lost? Can the friends overcome the greatest threats they have yet faced? Will they face the future together or fail in the last steps? 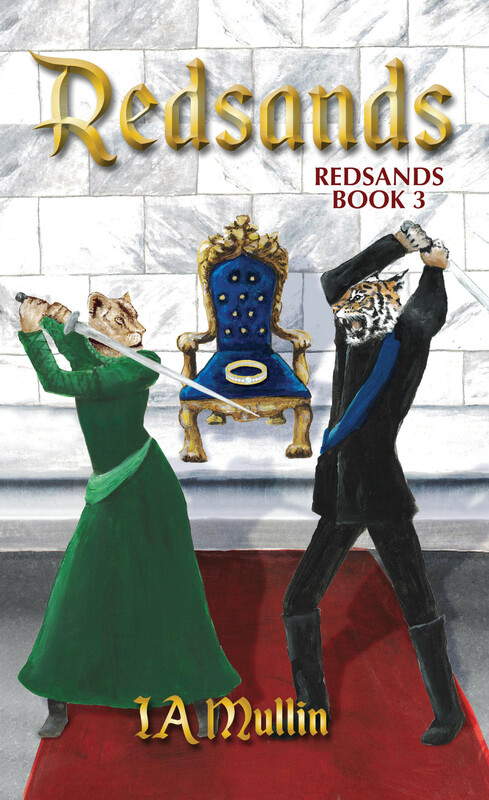 Find out how the story ends in Redsands, Redsands Book 3.